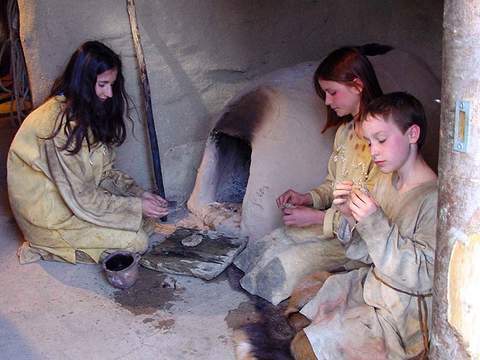 Log boat tours, bread baking in the clay oven and presentations of prehistoric handicraft techniques are part of the archaeological adventure park as to the Lake Feder Museum. In the open air park one can take closely part in the daily life of our ancestors. Four village episodes - starting from the New Stone Age up to the Bronze Age - present a lively impression of the prehistoric settlement of the Lake Federsee. Together with the archaeological nature trail starting at the museum the southern Lake Federsee fenland is revealed with its numerous archaeological place of findings.